There will be no shortage of thin, light, and affordable laptops to choose from this fall--at least from Asus, according to reports of the company's plans to launch five to seven Ultrabooks in October. Even better, some of these models are set to be well within the sub-$1000 target price that consumers seem to want. If you've been following the Ultrabooks story, you know that it's been quite dramatic so far. Just last month, reports indicated there was a strong possibility both Asus and Acer would price their Ultrabooks over $1,000, then Intel decided to pump $300 million into an Ultrabook fund (which wasn't enough for some manufacturers) to help computer makers overcome the obstacles to creating super-thin computers and price them low. In Asus's case, it looks like something's going right, because according to both the Financial Times and DigiTimes, Asus will be introducing not just one or two Ultrabooks in October, but five, six, or seven. Prices, moreover, are expected to range between $799 and $1999. 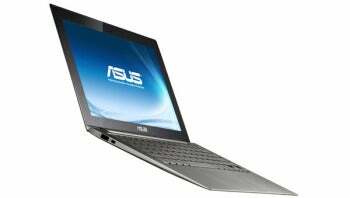 The 11.6-inch Asus UX21 Ultrabook has already been announced and is due any day now. The other models may have 13.3-inch screen sizes and offer additional bells and whistles to account for that $2000 price for the most expensive model. So while it looks like Ultrabooks as a category might no longer have that sub-$1,000 affordability qualifier, at least we can expect some (albeit entry-level) Ultrabook models for $799.